Storage: 1TB HDD & 256GB SSD. Whether you're watching a marathon of your favourite new shows or searching through a complex Excel sheet, screen quality matters. The Inspiron 15 has a Full HD resolution so everything is crisp and sharp. WHAT'S INCLUDED: - Laptop ONLY. WHAT'SNOT INCLUDED: - Battery. - Any hard drives (if included) are data wiped and work. TESTING: - The unit Powers up to BIOS fine with no errors or passwords. Fans run fine. Brand: HPProcessor: Intel Core i3 5th Gen.
AMD E2-1800 APU @ 1.7 GHz with AMD Radeon HD 7340M Graphics . - 256 GB SSD. HP 655 15.6 laptop. Support Windows 10, c oupled with the advanced Atom X5-Z8350 Processor, gives this product great performances and better using experience. Blackview BV9000 Pro 5.7" 6GB 128GB IP68 Rugged 4G Smartphone Octa Core 4180mAh. 64 bit. HARD DRIVE:- 1TB. MODEL:- HP 255 G6. Work confidently on the durable HP 255 Notebook PC. Enjoy this value-priced PC loaded with essential collaboration tools. WHAT'S INCLUDED: - Laptop ONLY. SHELF CODE: M12-23 6DB. WHAT'SNOT INCLUDED: - Power adapter / Other accessories / Cables / Software / Drivers etc. TESTING: - The unit Powers up to BIOS fine with no errors or passwords. Type: Notebook/LaptopBrand: LenovoProcessor: Intel Core i7 6th Gen.
8GB DDR4 RAM. 500GB SSHD. AMD A9-9410 R5 processor. I reseted - reinstalled the Window 10 to factory setting. (no dead pixel,but one white spot ,stated on the 6. nothing major). -NO OPEN OR CHANGE ALSO MODIFIED DEVICE. 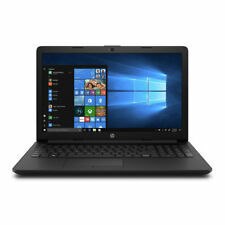 HP 255 G6 Laptop, 15.6", AMD A6-9225, 4GB, 1TB, DVD-RW, Windows 10 Pro. •4GB RAM 1TB HDD. 15.6" HP 255 G6 Laptop. Storage: 1TB HDD. AMD A6-9225 upto 3.0 GHz. •AMD A6-9225 (2.6GHz to 3.0GHz). • AMD Radeon R4. The machine is running Windows 10 and has been factory reset so it is ready to be set up. 256 GB M.2 SSD. HP Pavilion 15-au031na (ENERGY STAR). The laptop is in excellent condition with no marks on the screen or laptop. Ending Saturday at 4:06PM BST1d 17hCollection station availableType: Notebook/LaptopBrand: HPProcessor: Intel Core i5 6th Gen.
Hard Drive: 250Gb SATA. RAM: 4Gb (2 x 2Gb) PC2-6400 800MHz. 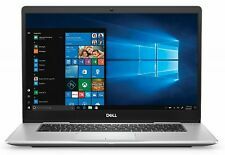 For buying comparison, this laptop is similar to high-end Dell Inspiron 1545. Refurbished older laptop in good used condition, very clean, little visible wear. Type: Notebook/LaptopBrand: HPProcessor: Intel Core i5 7th Gen. Built in webcam. Toshiba L850 Laptop. GENUINE WINDOWS 10 64bit. Screen Size. 15.6" Wide Glossy LED Screen. Genuine Windows 10 64bit. Toshiba laptop has a few LIGHT scuff marks but in good condition.Grade B. 4gb DDR4 Ram. Core I3 7th Gen. Hp 15.6” Silver Laptop. All hp drivers installed and working properly, wifi, bluetooth, audio, hdmi output etc. Open box Grade A laptop may show some slight scuff marks or finger print marks. Laptop comes in original box with AC adapterBox Contents:Laptop, AC adapterSpecification Processor: Intel® Core™ i3-7020U, Dual-core RAM: 4 GB DDR4 Storage: 1000 GB HDD Touchscreen: No Screen size: 15.6", LED, HD Ready 1366 x 768p Operating system: Windows 10 WiFi: Dual-band AC WiFi, 1x1 Ethernet: Gigabit Ethernet port Bluetooth: Bluetooth 4.0 USB: USB 3.0 x 1, USB 2.0 x 2 Video connections: HDMI x 1 Audio connections: 3.5 mm jack Speakers: Dual speakers Disc drive: No Memory card reader: SD Camera: 0.3 MP webcam Battery life: Up to 6.5 hours Colour: Rosewood Red Dimensions: 20.9 x 381.6 x 259 mm (H x W x D) Weight: 2.1 kg. 240GB SSD SATA. Hard Drive - SSD. The durable chassis protects the notebook so it looks as professional as you do. Enjoy this value-priced PC loaded with essential collaboration tools. DVD Writer. Windows 10 PRO. Support Windows 10, c oupled with the advanced Atom X5-Z8350 Processor, gives this product great performances and better using experience. C. 15.6 ” LED Screen with 1920 1080 Resolution: large screen with high resolution, you will find the image is more delicate and detailed,making the picture bright and vivid. Laptop is in excellent condition and running really well. Samsung R530. Sound - Perfect condition. Hard Disk: 500GB HDD. Model: HP Pro Book 650 G1. With this computer, you can smoothly watch films, browse the Internet and use professional programs. It is ready to use, USED CONDITION. Microsoft office. Condition - 13647 - Refurbished Laptop in Grade B Condition. Battery has been removed. This laptop has been cleaned, tested, refurbished. Open Office is installed. It is compatible with Word, Excel and Powerpoint. Collection station availableType: Notebook/LaptopBrand: ASUSProcessor: Intel Core i7 6th Gen.
Lenovo Ideapad 110-151BR Model 80T7. Windows 10. New hard drive installed. Used Fully working. MODEL NUMBER L450D. Wow, what a deal! Get this Toshiba computer with an AMD Athlon X2 Ql-65 processor, 320GB Hard Drive and 15.6" screen. CPU TYPE AMD Athlon X2 Ql-65. MANUFACTURER Toshiba. Rapid IT's highly trained staff each have their designated area of expertise, so should you need advice or assistance you know you'll be getting the best possible help. HP Pavilion 15-ac005na. 1000GB HARD DRIVE. Ending Friday at 2:10PM BST15h 14mCollection station availableType: Notebook/LaptopBrand: HPProcessor: Intel Core i3 4th Gen.
MODEL NUMBER E5540. Wow, what a deal! MANUFACTURER Dell. OS Windows 10, Professional, 64-bit. Rapid IT's highly trained staff each have their designated area of expertise, so should you need advice or assistance you know you'll be getting the best possible help. ACER EX2530. Hard Drive - 500GB HDD. RAM - 4GB -. Wireless Communication - WiFi. Optical Drive - DVD SuperMulti. Ending Friday at 7:39PM BST20h 43mType: Notebook/LaptopBrand: AcerProcessor: Intel Core i5 4th Gen.
Work or play, the Dell Inspiron 15 has the power and speed to get the job done. Processor AMD Ryzen 7-2700U 2.20 GHz up to 3.80 GHz. Display 15.6 in Full HD LED (1920×1080) Touchscreen. Hard drive size 256 GB SSD. Lenovo IdeaPad 320 15.6" Best Selling Laptop Intel Pentium, 4GB, 1TB HDD, Win 10. 1TB HDD storage. Good condition used 15.6" laptop from 2013 running Windows 7. Laptop fully functional, reset to factory settings. Battery life may have reduced a little but still capable of providing 3-4 hours of use. 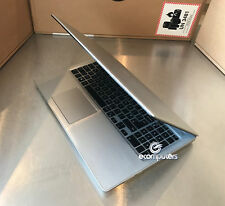 LENOVO ideapad 305 -15IHW. RAM - 4GB -. Hard Drive - 1000GB HDD. Optical Drive - DVD SuperMulti. 1x VGA port. Wireless Communication - WiFi. 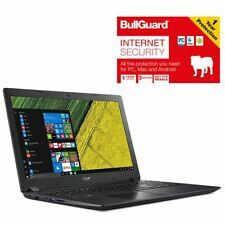 Ending Saturday at 8:32PM BST1d 21hType: Notebook/LaptopBrand: LenovoProcessor: Intel Core i3 4th Gen.
Ending 29 Apr at 6:40PM BST3d 19hCollection station availableType: UltrabookBrand: HPProcessor: Intel Core i7 5th Gen.
Dell Laptop Model E5520 Intel (R) Core (TM) i5 Cpu 4GB Ram Memory 500 GB Sata Hard drive WIFI Enabled Battery Condition Good Windows 10 Operating System (Activated) Professional Edition 64-Bit Edition Windows 7 Product Key Scratches And Marks On Casing Dell Power Supply With Cable In good condition Dispatched with eBay delivery – Shutl 1 day.